Highlights : Snorkling, Swimming with sharks, Barbeque on the private island, Sunset view. Meeting point at Jepara. At 08.00 am by ferry muria boat crossing Java sea to reach Karimunjawa islands. Arrive at Karimunjawa islands port, picked up by our representative, then transfer to accommodation. Free program. Stay overnight. Breakfast at hotel. Relax while preparation for a full day tour around Karimunjawa islands. Trip covers visits to cemara kecil, menjangan kecil, menjangan besar, shark nursery and turtle conservation. If you wish give it a try swimming and feeding with sharks and turtles. 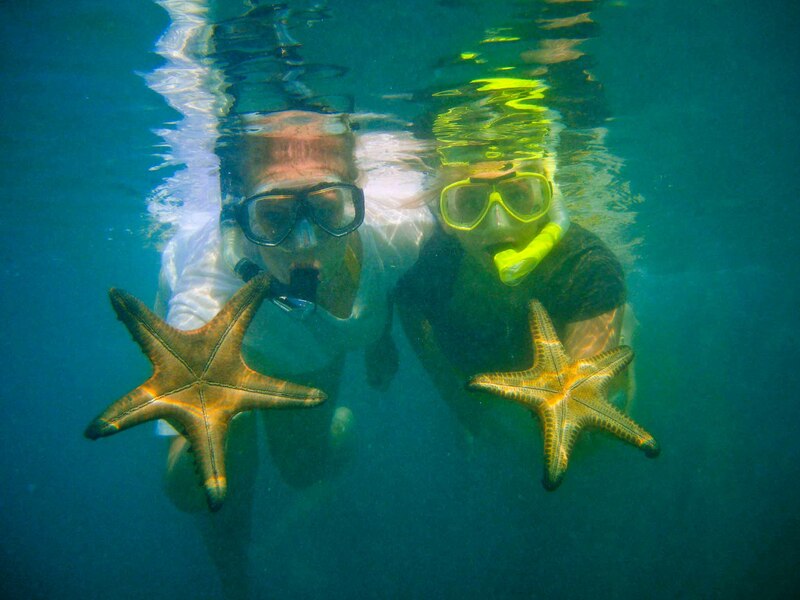 This trip offers you chance to do water activities like swimming, snorkeling, diving or just enjoying the surrounding views. Lunch served by Pamitran ala barbeque. After enjoying sunset on tanjung gelam beach. Back to hotel. Morning after tasty breakfast at hotel, proceed another exciting excursion water activities to tengah island, kecil island, gosong island. Lunch served ala barbeque. Afternoon return to hotel and free program at your leisure. Meeting point at Jepara. At 10.00 am by Bahari Express boat crossing Java sea to reach Karimunjawa islands. Arrive at Karimunjawa islands port, picked up by our representative, then transfer to accommodation. Lunch included. Proceed exciting excursion water activities to tengah island, kecil island, gosong island. Visit shark nursery and turtle conservation. If you wish give it a try swimming and feeding with sharks and turtles. Free program. Stay overnight. Breakfast at hotel. Relax while preparation for a full day tour around Karimunjawa islands. 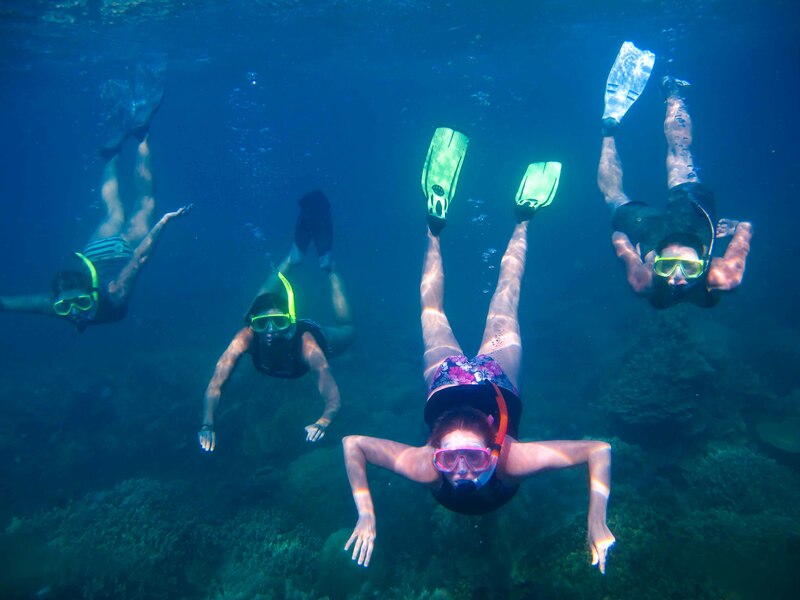 Trip covers visits to cemara kecil, menjangan kecil, menjangan besar, This trip offers you chance to do water activities like swimming, snorkeling, diving (optional) or just enjoying the surrounding views. Lunch served by Pamitran ala barbeque. After enjoying sunset on tanjung gelam beach. Back to hotel. Morning after tasty breakfast at hotel. Free program. Check out at 08.00 then transfer to Karimunjawa port to take ferry boat to Jepara. Arrive at 10.00 at Jepara. End of Tour. Harga diatas menggunakan tiket kelas ekonomi kapal Ferry Muria, apabila ingin upgrade ke kelas executive akan dikenakan biaya sebesar Rp. 50.000,-/orang. Harga diatas menggunakan tiket kelas VIP kapal Express Bahari, apabila ingin upgrade ke kelas executive akan dikenakan biaya sebesar Rp. 50.000,-/orang. Pemesanan paket wisata sebaiknya jauh – jauh hari sebelum hari -H, dikarenakan akan mempengaruhi kenyamanan Anda. Kuota minimal peserta: *; minimal 4 peserta | **; minimal 5 peserta | ***; minimal 5 peserta dan menggunakan Kapal Ferry Muria.